Update: Auberge Resorts has bought Malliouhana and re-opened November 1st, 2014. 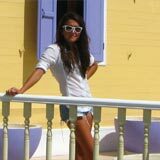 More on Malliouhana, an Auberge Resort. Sit high up in the cliffs of Mead's Bay, sip ice-cold drinks, and watch the fiery sun melt into the Atlantic. The Malliouhana Anguilla resort makes this our favorite Anguilla magic moment. 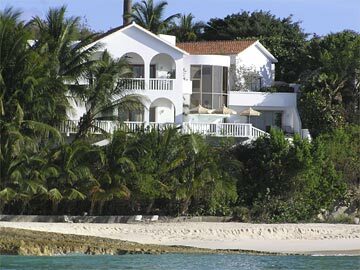 The Malliouhana and Cap Juluca are 1-2 (2-1) when it comes to Anguilla resort luxury. You would certainly be contentedly pampered in their suites, especially, the jacuzzi suites. But, wait! This "unit" is so large it is really Malliouhana's own little villa. You have about 5,000 square feet all to yourself with a private pool, deck, and access to "Turtle Cove" beach. Rent the "Pool Suite" and you have the best of both worlds. 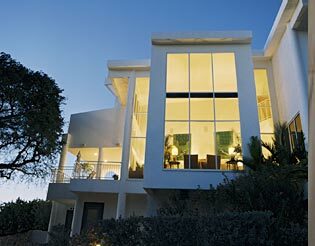 You get the independence of an Anguilla villa, but you also benefit from all of Malliouhana's amenities. You have the best fries on Anguilla right at your finger tips. 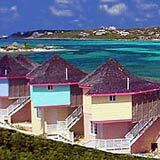 Windsurfing, water skiing, snorkelling, basketball and tennis are all available. 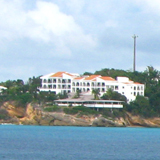 And this Anguilla resort also offers an impressive gym, spa and even trainers, so you can work those calories off. Ex-pats take out yearly memberships here and love it! It's all wonderful, of course, but my favorite part of the Malliouhana? 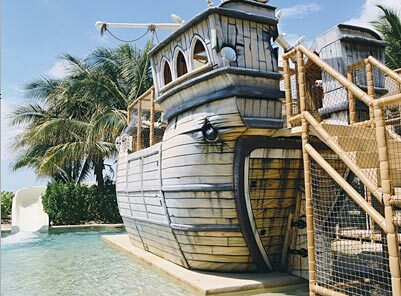 But even without playing Pirates of the Caribbean on this watery playground, Malliouhana still gets my vote for best of all Anguilla resorts. Of course, just as many would vote for Cap Juluca.